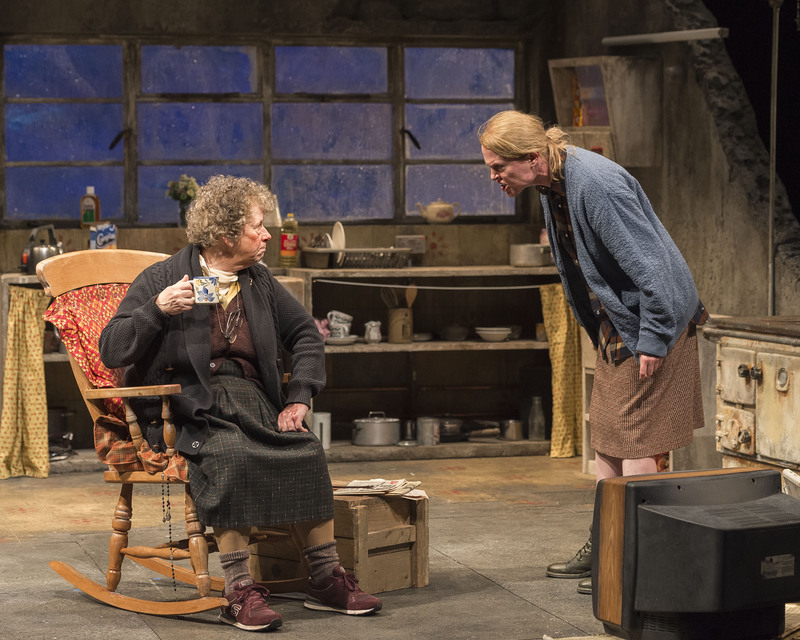 BOSTON – To David Dower, P. Carl, David C. Howse and all others at ArtsEmerson who brought the Druid Theatre Company’s “The Beauty Queen of Leenane” to Boston: Thanks. Playwright Martin McDonagh’s 1996 work has enjoyed worldwide success, including six Tony nominations and four wins in 1998, and this 20th anniversary production that is touring the U.S. continues to cement its reputation as one of the finer works by an Irish playwright in recent decades. Several of McDonagh’s other works have been presented to and appreciated by Boston audiences, but “Beauty Queen” has always been a large hole in my own theatrical resume, and to have this brilliant production by the Druid Theatre Company of Galway, Ireland here is a treat for theater-goers and reviewers alike. A caveat: It may take you a little time to get used to the particularly thick brogue of the characters who reside in the Galway/Connemara area on the West Coast of Ireland; my companion found it useful to shut her eyes for a couple of minutes and concentrate on the rhythm and cadence of the characters’ speech. The comedy is both black and biting. The Irish, as you may have heard, love, laugh, live life to the fullest and – on occasion – fight. This “Beauty Queen” features a quartet of memorable characters and performances, and the direction by Tony winner Garry Hynes is just as brilliant as the acting. Marie Mullen won a Tony in 1996 playing daughter Maureen Folan on Broadway, and here she returns to play mother Mag Folan, a demanding 70-year-old woman who is essentially holding her spinster fortyish daughter Maureen (Aisling O’Sullivan) hostage to her constant demands, and the accompanying constant complaints. Even worse is the emotional hostage-taking, as Mag maneuvers to head off any chance Maureen will be leaving the home any time soon, even after caring for Mag for about 20 years. You would think that given the showiness of the roles of the female combatants, the work of the two male characters would be overshadowed — but you would be wrong. Aaron Monaghan and Marty Rea as brothers Ray and Pato Dooley hold their own with Mullen and O’Sullivan. Ray is a rather simple soul, fond of football and children’s games and someone who doesn’t appear particularly interested in work, but does love TV. 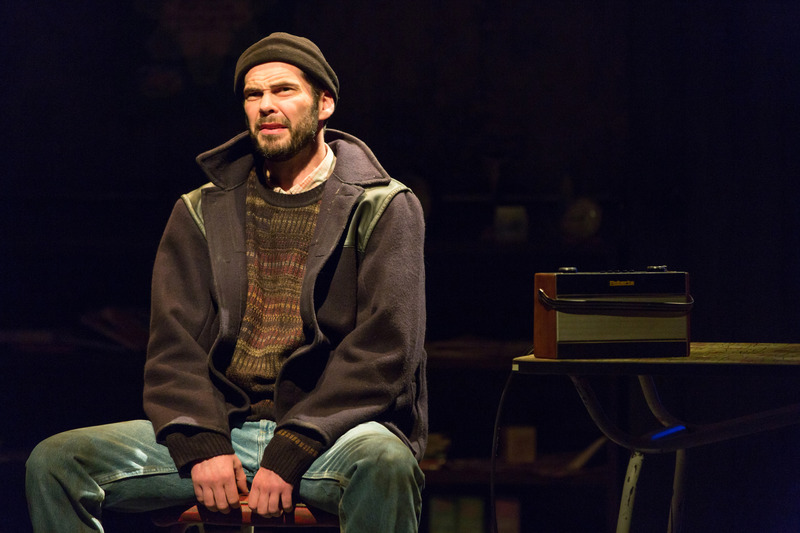 Pato had left the village to find work in construction in London, where he lives a lonely existence and returns home periodically to refresh his soul and for family occasions. Early on Ray and Mag perform a hilarious pas de deux, as Ray is determined to deliver a message to Maureen inviting her to a party, while Mag is determined that the message never reach her. Eventually, Maureen meets Ray outside the home and ferrets out Mag’s sabotage, sparking a bloody back and forth after she catches Mag in a series of lies. Pato spends the night with Maureen. An unsuspecting Mag rises in the morning and disgustingly empties her chamber pot into the kitchen sink, which hilariously later comes into play when Pato appears out of the blue to Mag’s astonishment, decides to make her porridge and fishes a spoon out of said sink. As the evidence of the Maureen-Pato tryst surfaces, Mag reads the tea leaves and the possibility of her being left alone or sent to a nursing home. She uses the nuclear option: proof that Maureen has spent time in an asylum after a breakdown. Maureen is equally desperate to try and grasp that last brass ring as it threatens to pass her by. Paddy Cunneen’s incidental music provides a sense of foreboding that seems to pervade the Folan household and presages the battles to come. To go any further in the plot would deprive you of what McDonagh and these remarkable characters have in store for you in the rest of the work. Please buy your tickets now, and thank me and ArtsEmerson later. ArtsEmerson presents the Druid Theatre Company production of Martin McDonagh’s “The Beauty Queen of Leenane.” Directed by Garry Hynes. On the Robert Orchard Stage at the Emerson/Paramount Center through Feb. 26. artsemerson.org.